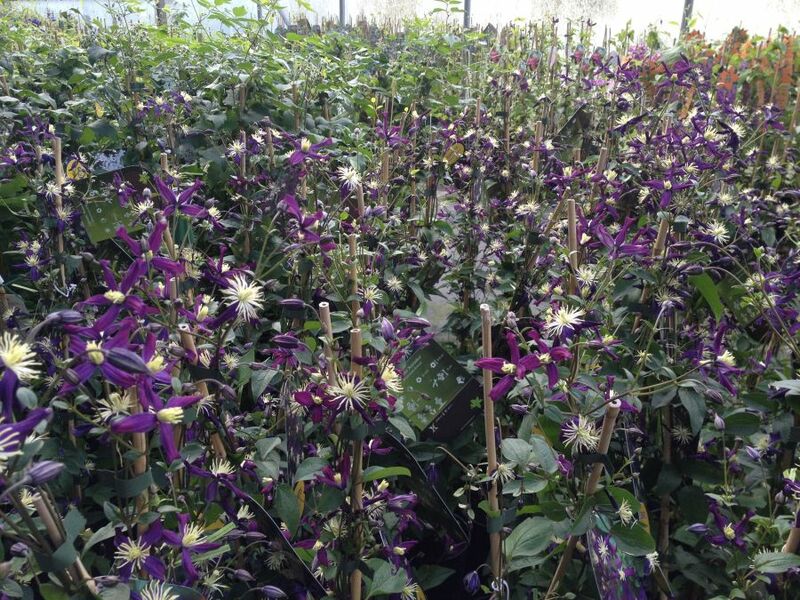 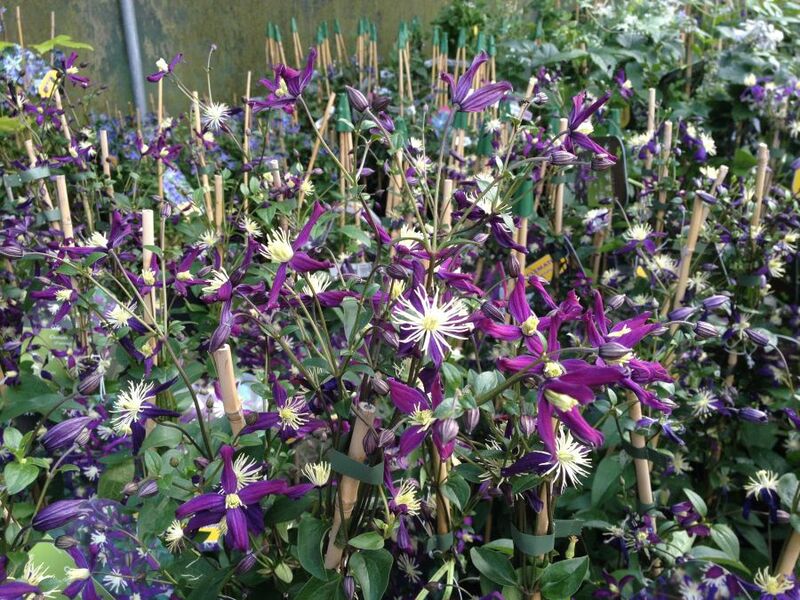 The Clematis x Aromatica is extremley scented, it grows 4 to 6 feet max and is a non clinging variety. 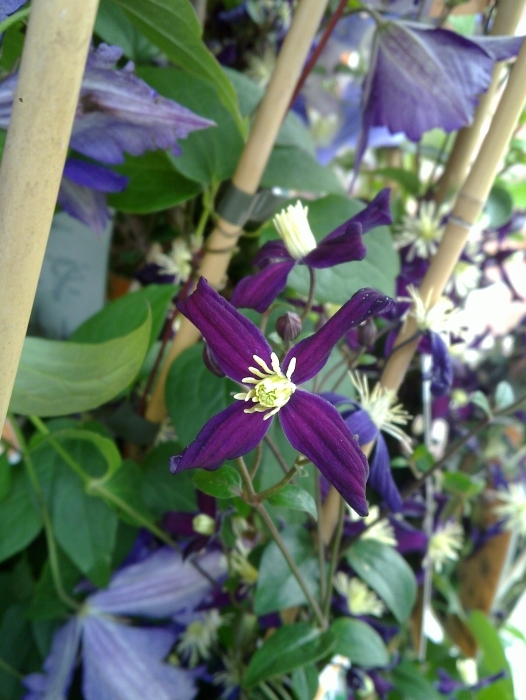 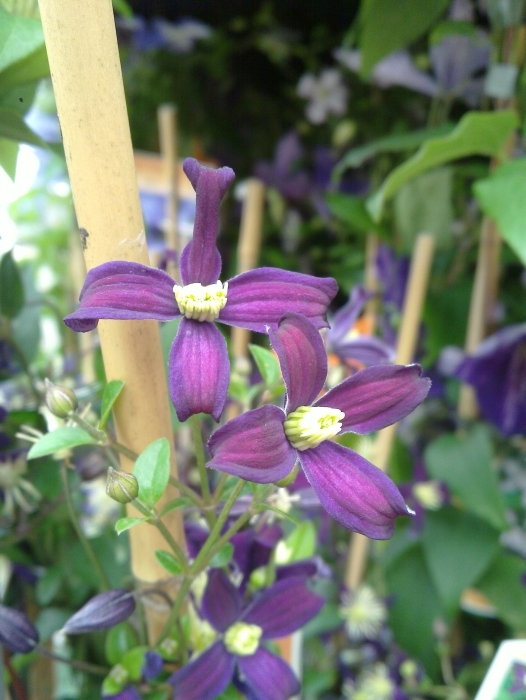 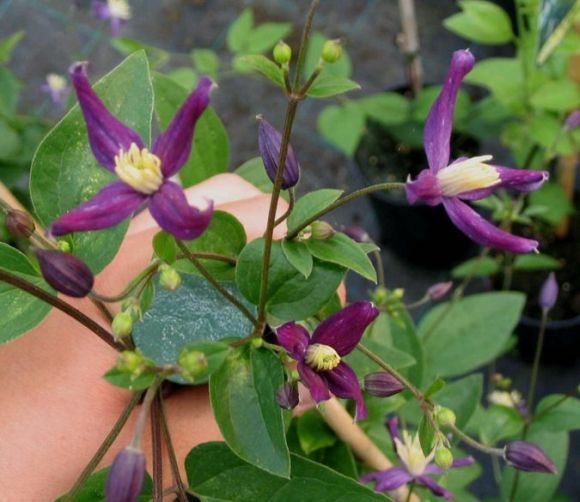 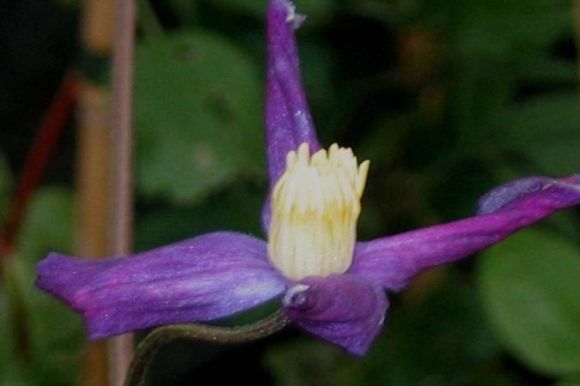 You could grow Clematis x Aromatica in a pot or in a border. 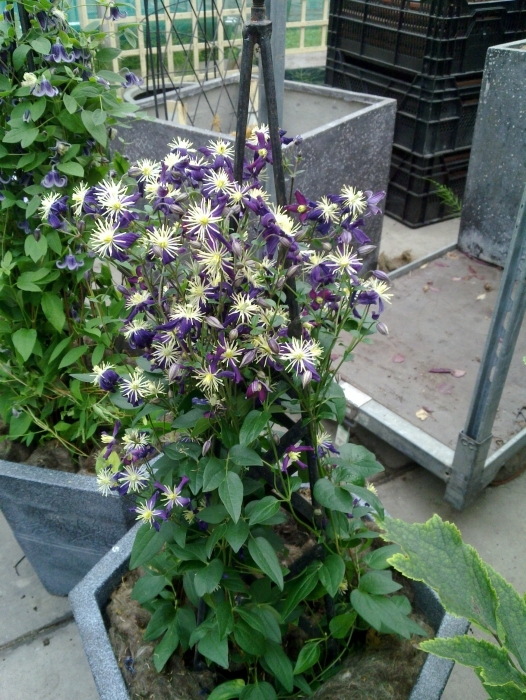 nice small star shaped flowers too. 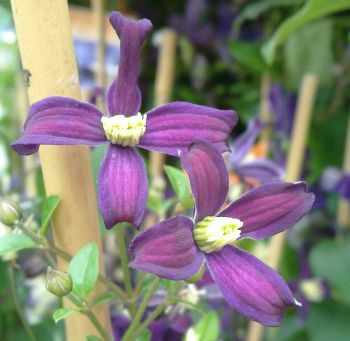 The flowering season for x Aromatica is June to September. 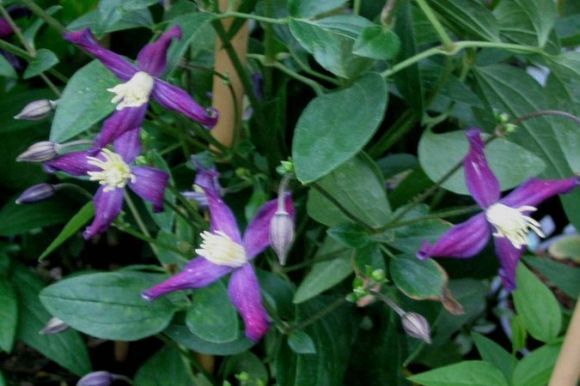 Clematis Shoppers online: 359 .